Custom shotgun barrell decals. To start your design click the grey PERSONALIZE box below. 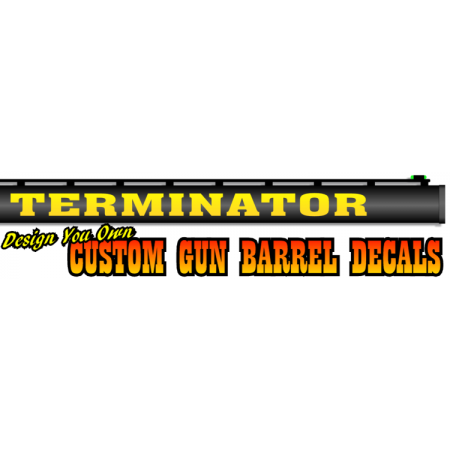 Gun barrel decals can last a long time, but do take extra care. It's important to make sure barrel is very clean and oil free before applying your decal.